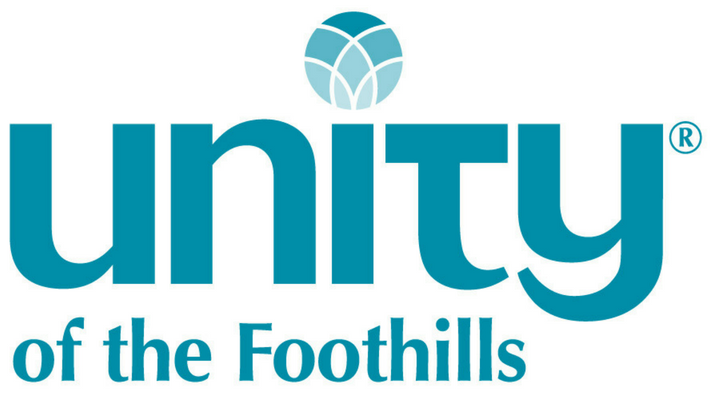 Unity of the Foothills (the “Organization”) respects the privacy concerns of the users of its website, UNITYOFTHEFOOTHILLS.COM and the services provided therein (the “Site”). The Organization thus provides this privacy statement to explain what information is gathered during a visit to the Site and how such information may be used. Use of Information: As a general policy, no personally identifiable information, such as your name, address, or e-mail address, is automatically collected from your visit to the Site. However, certain non-personal information is recorded by the standard operation of the Organization's internet servers. Information such as the type of browser being used, its operating system, and your IP address is gathered in order to enhance your online experience. The Site’s various mailing lists, downloads, special offers, contests, registration forms, and surveys may request that you give us contact information such as your name, mailing and/or e-mail address, demographic information such as your age and gender, and personal preference information such as your preferred software and interests. Information submitted at the time of submission will be used by the Organization only as necessary for our legitimate business interests, including without limitation the improvement of our products, services and the contents of the Site. The Organization may also share such information with our business and promotional partners to further those interests. Personally identifiable information is never sold or leased to any third parties. With your permission, we may use your contact information to send you information about our company and products. You may always opt-out of receiving future mailings as provided below. The Organization does not store any credit card information it may receive in regard to a specific transaction and/or billing arrangement except as necessary to complete and satisfy its rights and obligations with regard to such transaction, billing arrangement, and/or as otherwise authorized by a user. The Organization may disclose user information in special cases when we have reason to believe that disclosing this information is necessary to identify, contact or bring legal action against someone who may be causing injury to or interference (either intentionally or unintentionally) with the Organization's rights or property, other users of the Site, or anyone else that could be harmed by such activities. Children Age 13 and Under: The Organization recognizes the special obligation to protect personally identifiable information obtained from children age 13 and under. AS SUCH, IF YOU ARE 13 YEARS OLD OR YOUNGER, THE ORGANIZATION REQUESTS THAT YOU NOT SUBMIT ANY PERSONAL INFORMATION TO THE SITE OR TO THE ORGANIZATION. If the Organization discovers that a child age 13 or younger has signed up on the Site or provided us with personally identifiable information, we will delete that child’s identifiable information from our records. Malware/Spyware/Viruses: Neither the Organization nor the Site knowingly permit the use of malware, spyware, viruses, and/or other similar types of software. Bulletin Boards and Chat Areas: Guests of the Site are solely responsible for the content of messages they post on the Organization's forums, such as chat rooms and bulletin boards. Users should be aware that when they voluntarily disclose personal information (e.g., user name, e-mail address, phone number) on the bulletin boards or in the chat areas, that information can be collected and used by others and may result in unsolicited messages from other people. You are responsible for the personal information you choose to submit in these instances. Please take care when using these features. Choice/Opt-Out: The Site may provide you the opportunity to opt-in to receive communications from us at the point where we request information about you. You always have the option of removing your name from any e-mail list in order to discontinue any such future communications. In order to ensure immediate removal from any list, please follow the specific instructions set forth within the communications you receive from the Organization which you no longer wish to receive. If you are unsuccessful in completing the instructions specified in any such communication, please e-mail us at [email protected], including a copy of the undesired email attached to the request, and state you wish to be removed from the mailing list. Information provided by you via general e-mail inquiries to the Organization such as your e-mail address is used only to respond to your inquiries in the ordinary course of business, and is never shared with third parties. Security: Security for all personally identifiable information is extremely important to us. Unfortunately, no data transmission over the internet can be guaranteed to be 100% secure. As a result, while we strive to protect your personal information, The Organization cannot ensure or warrant the security of any information you transmit via the internet. By transmitting any such information to the Organization, you accept that you do so at your own risk.